Miami luxury and elegance are coming to the sunny shores of Hollywood, Florida. 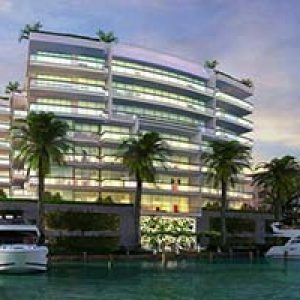 With construction slated to begin in the second quarter of 2016, 10 Harbor is the latest project from Sunset Harbor Residences LLC, an emerging development company responsible for high profile projects in Orlando, Hallandale and Dania Beach. Kaller Architects, the assigned firm on the project, designs by the philosophy of architectural integrity and sensitivity to the client’s needs and vision. Located directly on the Intercostal Waterway, and just a short walk to the beach, 10 Harbor is an exclusive opportunity consisting of just ten 3-bedroom townhome-style units. Depending on location of the unit and amenities, prices range from just $675k to $1.4M. 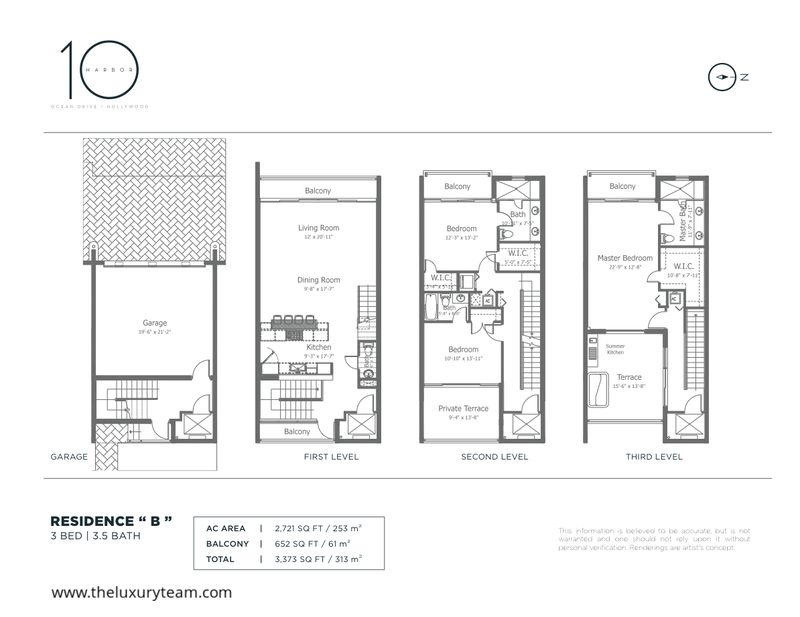 All units are close to the 3,500 square foot mark, with direct access to a private marina and community amenities. 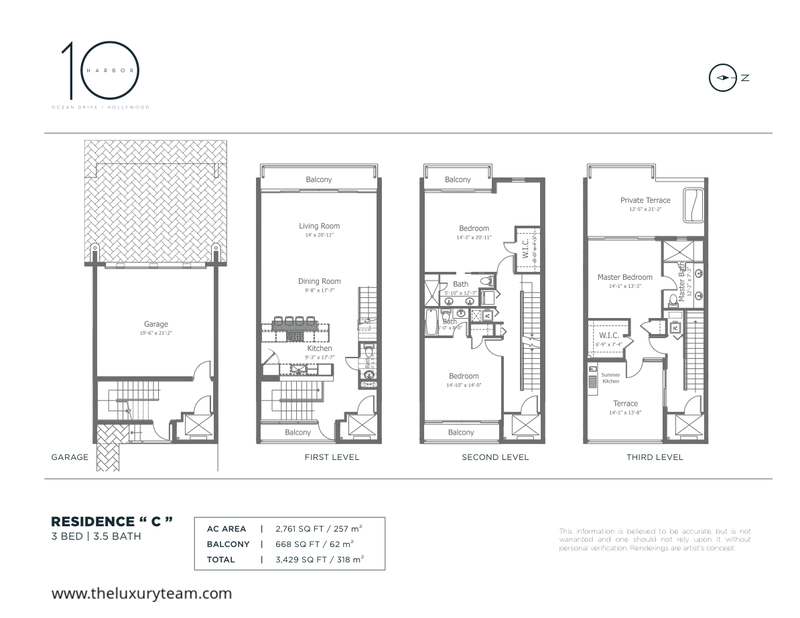 Each and every unit at 10 Harbor luxury residences opts to maximize its space. Every one features three full bathrooms in addition to a powder room for guests. 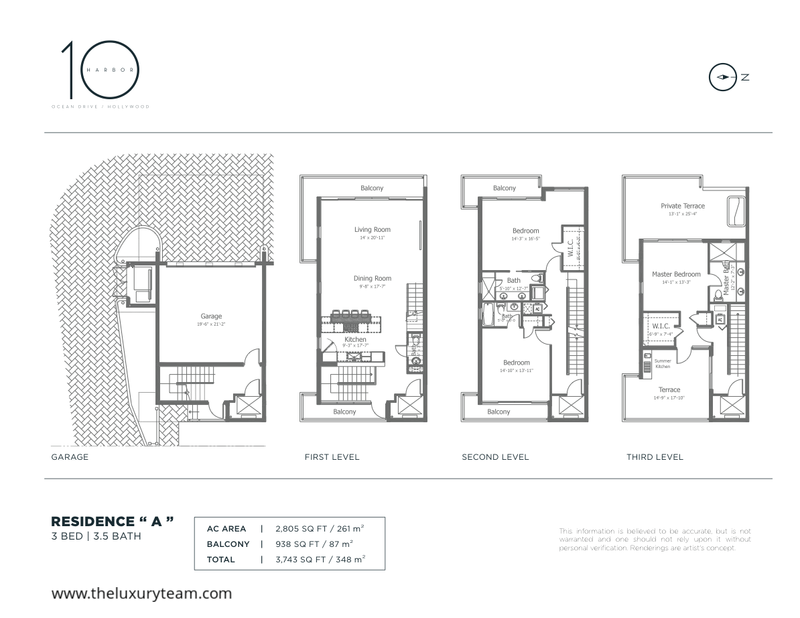 Oversized private terraces allow for entertainment and even cooking outside overlooking beautiful marine vistas. Every outdoor space comes with a private hot tub. Floor to ceiling impact resistant glass windows and doors line each unit allowing for plenty of natural light, energy efficient heating and cooling, and beautiful panoramic views. Every kitchen is fitted with high-end gas ranges and wood cabinetry by Mia Cucina. Imported stone finished countertops add a nice complementary look. Every unit is pre-wired for high speed internet access and smart home technology. In addition to the beautiful interior design of each and every unit, 10 Harbor boats a sleek and modern exterior befitting of the surrounding natural landscape. Every community member may enjoy a private boat slip, private elevator entry, and a private 2 car covered garage. The intimate community of just 10 units provides for unique opportunities to get to know your neighbors and enjoy a small town feel in the budding city of Hollywood. Conveniently located just 10 minutes south of Fort Lauderdale and 10 minutes north of Miami, a residence at 10 Harbor puts you right in the middles of the best dining, entertainment, nightlife, and culture in South Florida. 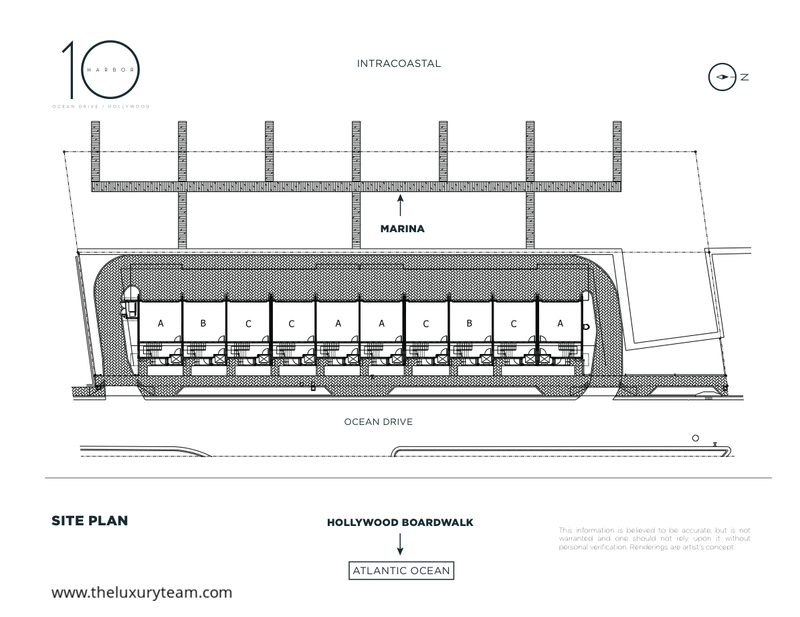 Just steps from Hollywood’s iconic boardwalk, 10 Harbor provides direct access to this one-of-a-kind oceanfront promenade. Hollywood is also home to the Yellowgreen Farmers Market each weekend, where people from all over South Florida flock to take in fresh farm-to-table produce. If you’re on the move, 10 Harbor is just a 10 minute drive from Fort Lauderdale International Airport. Don’t miss out on this opportunity to live or invest in the growing and vibrant Hollywood community!